You know what I love about peanut butter? Aside from it’s obvious deliciousness, of course. It goes with EVERYTHING. Seriously. Throw it into a batch of cookies…amazing. Add it to a sandwich…delightful. Add it to a veggie stir fry…prefectly dandy. Ice cream, chocolate, crackers, celery, you name it, peanut butter makes it better. Of course all of those other nut butters are great too, but I just love me some classic peanut butter once in awhile. I just kept stirring and adding a bit of water until the mixture created the consistency I was going for. Which, quite honestly, was just a mushy mess. 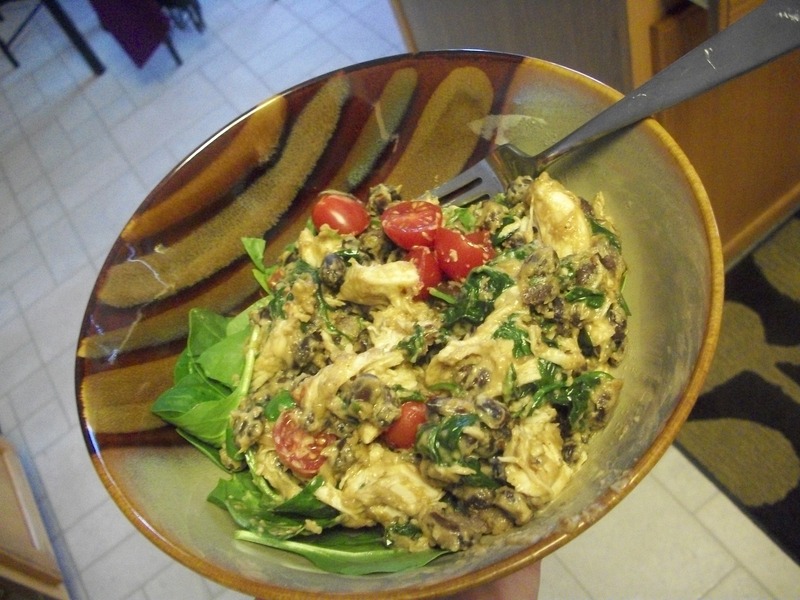 Once I was happy with my mushed-up mix, I threw some more spinach in a bowl, spooned the mixture on top and topped it off with some grape tomatoes. I swear, despite it’s look, it was really good! I was incredibly full after eating it. I was bummed that I didn’t have more veggies to add but the bag of stir fry veggies in my freezer seemed a bit crunchy in the freezer burned sense of the word so I tossed them. 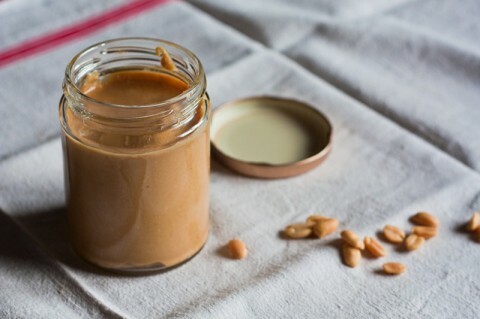 I know peanut butter isn’t exactly calorie free but I love that it’s a food I can feel good about using (as long as it’s not the super processed kid-friendly kind) that truly goes well with just about everything! This past Sunday night, I let Fielder outside and found a gift bag on the doorstep. There was no card or name, but when I looked inside, I knew my friend Christy had made a visit. It was a goodie bag filled with assorted peppermint and chocolate candies (my fave! 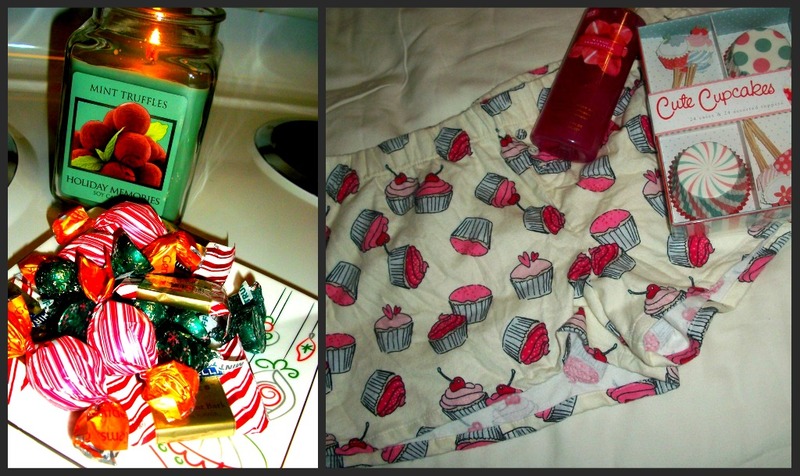 ), a mint truffle candle, some body wash from Victoria’s Secret (Christy & I were OBSESSED with Love Spell for a few years), cute cupcake accessories, and…wait for it…. 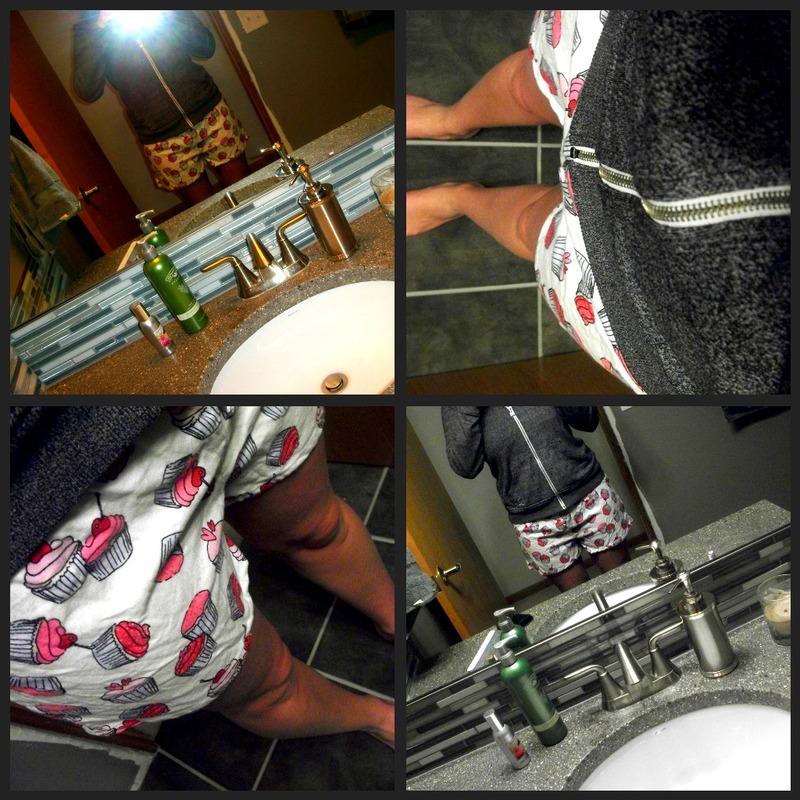 cupcake boxer shorts!!! Sersiously so cute. Each little gift was wrapped in tissue paper and I had the biggest grin on my face as I opened each one. The girl knows me SO well. Here, have a look at my fun stuff! Of course I had to put the shorts on immediately. And take pictures…?? What about you? 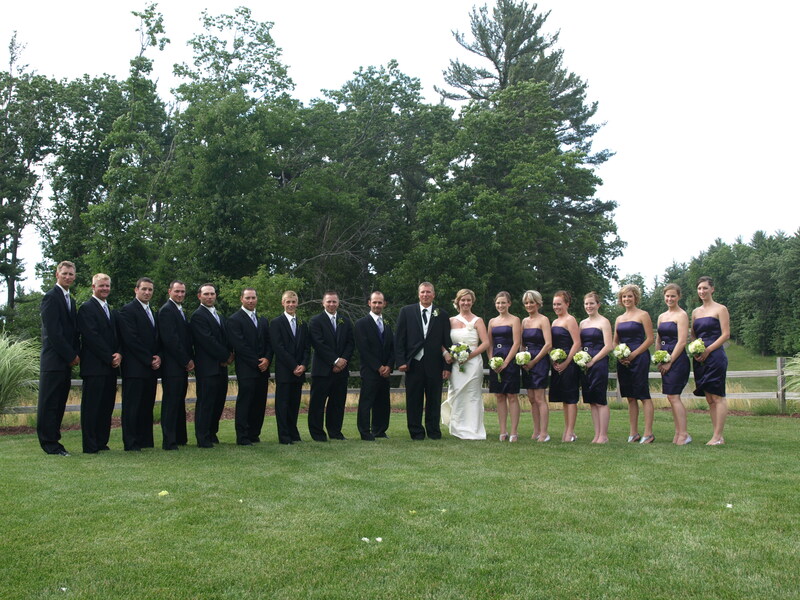 Do have a large circle of friends or just a few really close friends? I feel so blessed to not only have really close friends, but so many of them that I can truly count on and trust. I’m a lucky gal! Previous Post I’m Married to an Old Man! Next Post I’m a Busy Elf Today!